Finally! Painting estimating software that’s fast and crazy simple to use. 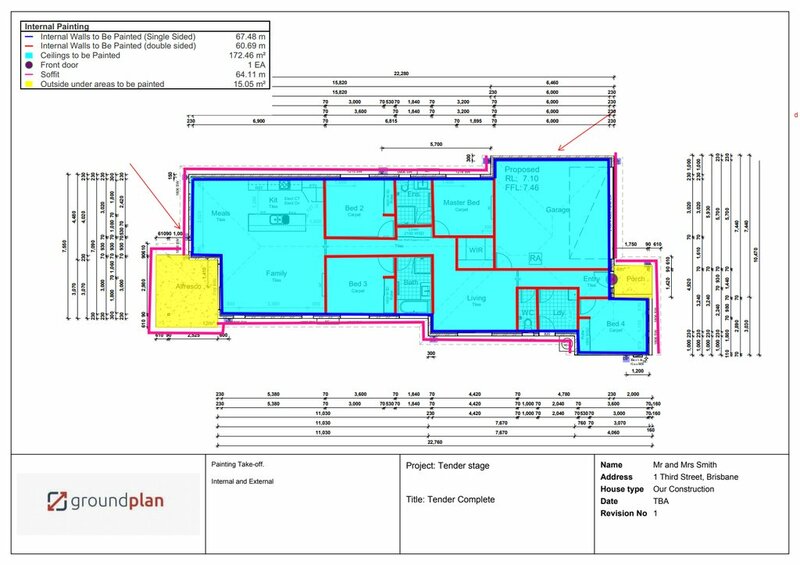 If you’re still using the old paper, pencil and highlighter approach, it may be time to consider the ridiculous volume of hours saved by using Groundplan, the best cloud based painting estimating software. How does this estimating software help painters? Set your ceiling heights, and you’re off. Whip around your plan and trace the walls as Groundplan begins calculating the measurements and the associated costs. You can choose whether the wall is double-sided or single-sided, so there’s no need to measure the same wall twice. It’s up to you how much detail you’d like to gather. You can deep-dive into the detail, but many painting professionals use it to simply count, measure and calculate. All the engineers are getting faster and better at using Groundplan. Currently, we’re turning projects around 20-30% faster than before. 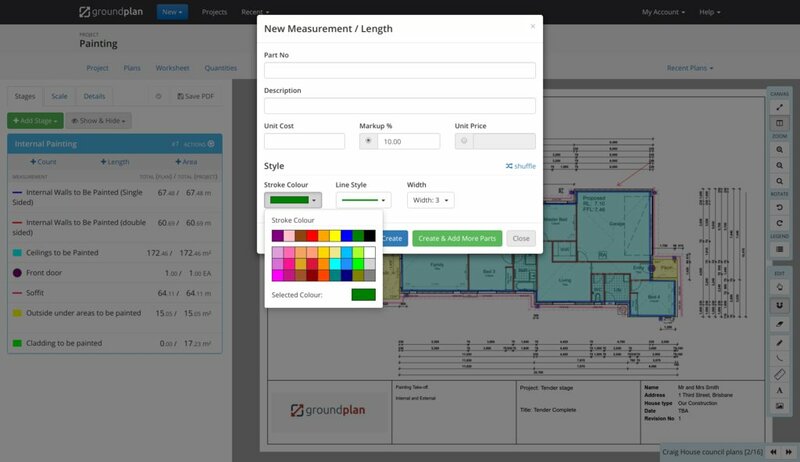 Groundplan digitally measures interior and exterior walls and ceilings to more accurately estimate how much paint you’ll need and how much time your painting job will take. Sure the ‘old way’ is fine, but haven’t you earned some down time after dinner tonight rather than time spent quoting? The old method has stood the test, but if you count the hours saved by using a digital workflow, before you know it that extra time will equate to extra cash in your bank account. It’s likely the competition are considering it, so best you get in first. Ever received a work order from a builder for 300 square meters only to later realise there’s actually an extra wall or two that’s been forgotten? 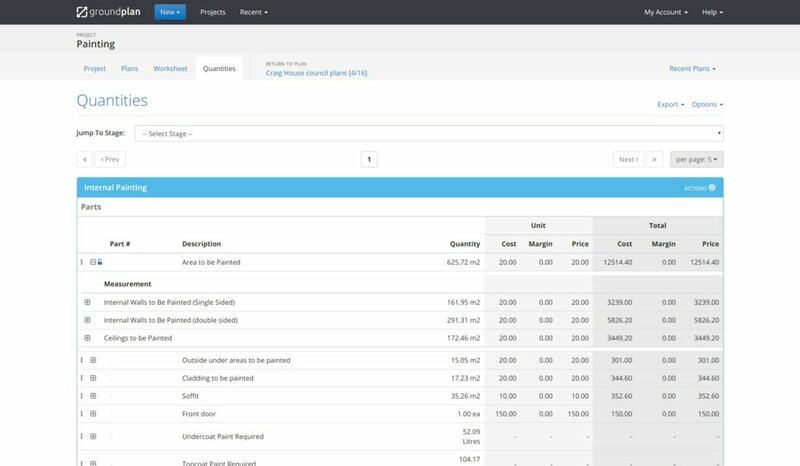 Accuracy is key to controlling cost and maximising margins, so best not leave it up to the builder to do your calculations for you. What’s the point of doing a job if you’re not making money?! Some clients even outsource part of their estimating. How? Well, Groundplan is cloud-based software, so you can enlist professionals from far and wide to log into their Groundplan account and carry out estimating work on the fly. Often, a wall is not just a wall, right? You can subtract window dimensions for the area that does not need to be painted. 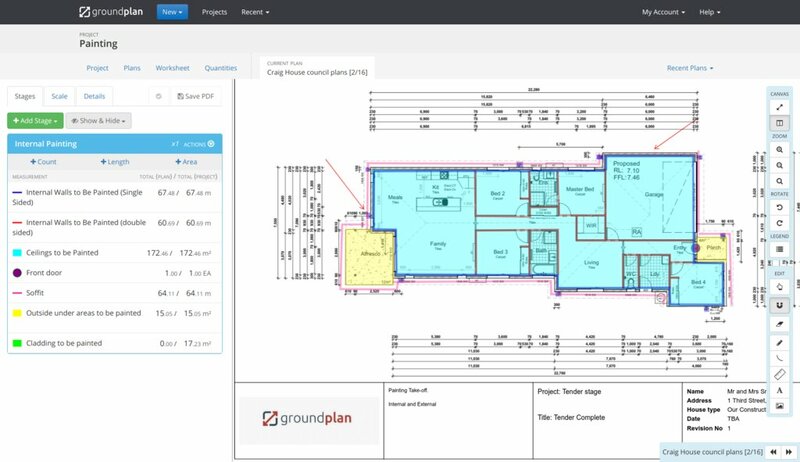 Groundplan gives you the ability to subtract windows from each calculation with one single click. In fact, templates are readily available to choose from based on commonly used window dimensions. You may or may not need to paint the doors, and, you guessed it, you can simply add or subtract door dimensions too. So, we know walls and ceilings are covered, but then there are the cornices and skirting. They can be a bit fiddly,take more time and potentially require a different material such as gloss paint. Thankfully, these lengths and variants can all be factored into the Groundplan calculation. You’re not only working out how much paint you need, but how much labour is involved, right? Don’t quote cheap, quote accurately, and put your best foot forward. Groundplan produces a succinct and visually impressive estimate with all your branding in place ready to show your client, so you can look the part as the professional outfit you are.